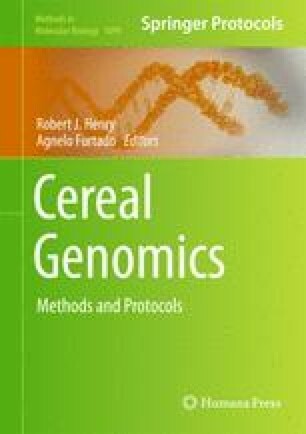 Deoxyribonucleic acid (DNA) extracted from endosperm can be effectively used for rapid genotyping using seed tissue, to evaluate seed quality from packaged grains and to determine the purity of milled grains. Methods outlined here are optimal procedures to isolate DNA from endosperm tissue of modern rice grains and of aged rice remains preserved between 50 and 100 years. The extracted DNA can be used to amplify regions of chloroplast genomic DNA (ctDNA), mitochondrial genomic DNA (mtDNA), and nuclear genomic DNA using standard PCR protocols. In addition, we describe an optimal procedure to process archaeological grain specimens, aged for a couple of thousand years, to isolate DNA from these ancient samples, referred to here as ancient DNA (aDNA). The aDNA can be successfully amplified by PCR using appropriate primer pairs designed specifically for aDNA amplification.